There was a book I picked up for a laugh in the junk bin at a big ticket store many years ago entitled Spontaneous Human Combustion. Cost me all of 70c. The cashier got a huge kick out of this, declaiming the title with an overdramatic gameshow host flair. We both got a big laugh out of it. Under effective assault by their own ship and with Orac attempting a sort of leadership coup, how can the Liberator crew possibly assist a group of beleaguered resistance fighters, who look to him as a symbol of freedom? And what is the horrible secret of the swarming Federation drones? Mixing hard SF with touches of Cronenbergian body horror and a 2001-like sentient computer rebelling against its ostensible owners, the Classic Audio Adventures continue to get better with each successive month. At times approaching the feel of Big Finish’s excellent McCoy/Ace Doctor Who adventure Enemy of the Daleks, Drones takes man against man and man against machine and interweaves them in an engagingly tangled skein of interrelated menace. Where Fractures was weakened a bit by having each and every character finish each other’s lines (a rather obvious gambit to make sure everyone got equal airtime), Battleground returned to a more typically Blakeian split team approach. 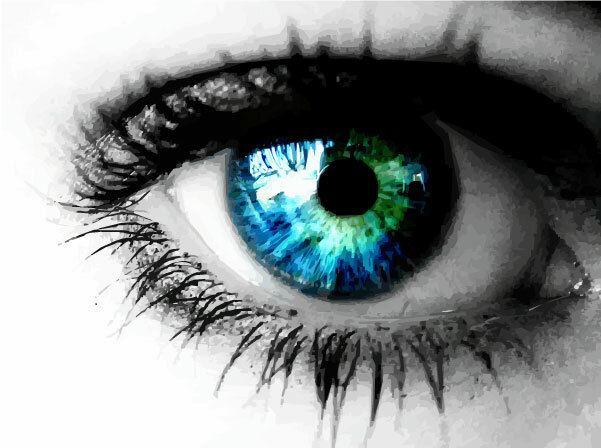 This time around, everyone feels more or less equally involved, but without the contrived and forced approach of Fractures. With Orac frightened by rumors of further, perhaps improved iterations of itself and the Liberator hammering home the point that for a sentient ship, its own survival clearly trumps that of any ostensible crew, Blake’s ragtag band of refugees and inadvertant revolutionaries faces equal if not greater issue with their own ostensible allies than the Federation itself. Further, their enemies have come up with a terrible new weapon, one that violates any ostensible equivalent of the Geneva Convention…and Blake’s weakness and indecision may cost more than just the hero worship of those who look to him as a symbol of resistance. 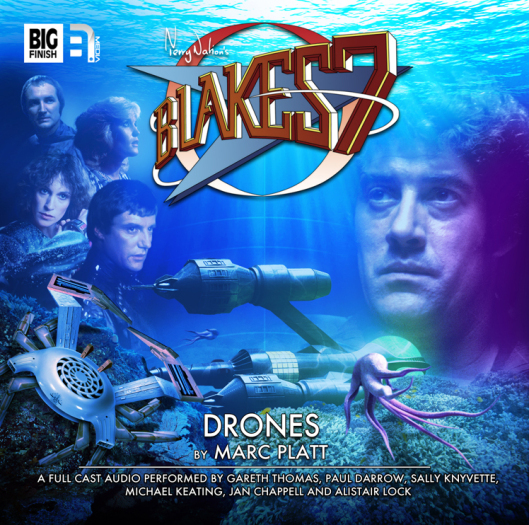 Filled with a real sense of tension throughout, author Marc Platt deftly combines outright plot driven drama with an equal level of introspection and philosophical debate…exactly what you’d expect from a proper episode of Blakes 7 (or Classic Who, for that matter…something evidently lost on the lights and mirrors rollercoaster ride New Who crowd). While his track record has been somewhat spotty (the interesting if somewhat confused televised McCoy era Ghost Light followed by excellent Big Finish offerings such as the Davison/Turlough Loups-Garoux, Eighth Doctor Adventure the Skull of Sobek and Davison/full Tardis stories Cradle of the Snake and Butcher of Brisbane offset by far dicier efforts such as the Hand of Fear redux Eldrad Must Die, Cybermen tale Spare Parts or the somewhat disappointing Three Companions), Drones displays all the earmarks of an assured master craftsman at the top of his game. Fourth Doctor Adventures regular Jamie Robertson provides suitably tense scoring, and director Ken Bentley keeps the action brisk. If anything really need be said about the respective talents of Gareth Thomas, Paul Darrow, Michael Keating, Jan Chappell or Sally Knyvette, then you’re probably not a Blake’s fan (and unfamiliar with British cult television in general). That said, I will admit to a strong personal bias towards Darrow’s Kerr Avon, with Thomas (who I further particularly appreciated in Children of the Stones and Star Maidens) and the eubellient Keating (who’s quite honestly become the standout character of the audios, so much does he appear to be enjoying himself here) following close behind. No offense to the ladies implied here – all five members of the crew continue to acquit themselves admirably, particularly so many years on from when last we saw them. Given the steady monthly improvement from what was admittedly an already strong start, I quite honestly can’t wait to hear what’s next for Blake and company. Kudos to all involved.